To be an experienced and formidable guide as a Life Coach, and create inner peace, requires the Coach himself to be willing to go through any process to create positive change that he is recommending to his clients. Over the last decade, Chris and I have done exactly that: a process of transformation that has provided us with the ability and expertise to understand every human condition. Each of us, though the names, faces, stories and situations may appear to be different, is seeking the same end result. That end result is a return to our natural state of being, and for each of us that natural state is inner peace. 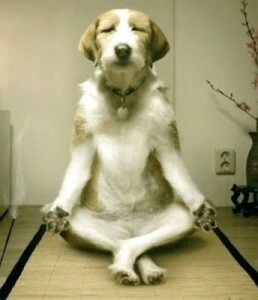 We all aspire to have inner peace. For me, it appeared to be just in my grasp, yet so elusive for so many years. It was not until I learned that if it was to be peace for me, it was up to me. Like unconditional love, inner peace is not some condition we achieve by creating what we want for and in our lives. No material thing, no amount of money, no ‘perfect’ partner, no dream job can provide you with inner peace. Yet, we are conditioned to search and seek outside ourselves for everything to complete us: be it love, happiness, success, and yes, even peace of mind. Many people, in search of peace, have decided to drop out from the mainstream, believing it is the world that blocks and prevents them from experiencing inner peace. Some will ‘give it all up’ and move to some distant place that is remote and sparsely populated. Others, will go to an ashram, a monastery, or some other form of communal living where worldly possessions are visibly absent. In the most extreme cases, the search for peace may lead someone to the streets. Appearing lost forever, they become our homeless; shunned and feared by most of us because let’s face it: that man sleeping on the park bench could easily be you or me! For those individuals who move away from society, there exists a belief that inner peace is not achievable if one remains a part of the dysfunctional whole. This belief, I am happy to say, is not the truth. Inner peace is just that: it is an inside job that has nothing to do with external factors or forces. And to that I respond, ‘Absolutely, yes!’ You see, it is peace that is your solution to your so-called problems. It is peace that will ground you, give you clarity and empower you. It is peace that will change your perspective and assist you to realize what’s really important to you. 1. Be open to being at peace. 2. Be open and willing to let go of the past. 4. Focus on being present and living in the now. 6. Forgiveness: of others and most of all, yourself. Understand, this is a process. Up until this point, you went through a process, that over time, has created inner turmoil. That, until now, has been your endeavor. You have been an unwilling traveler, duped into believing there is honor and nobility in struggle, chaos and suffering. You can now become the willing traveler who is open and ready to end the struggle, chaos and pain.